Envirochemie GmbH has been active in Brazil since 2000, implementing customised concepts for water recycling and wastewater treatment for its national and international customers. Through its collaboration with Brazilian universities, funding programmes, and support from the German Federal Ministries, Envirochemie GmbH has become a prominent and well-known player in the Brazilian wastewater market. Envirochemie GmbH is now working closely with Envirochemie do Brazil LTDA in Rio de Janeiro in a bid to further expand its activities in this region. Together with the highly experienced local industry specialists, we offer engineering services and water technology of “Made in Germany” quality to customers from vastly different industries, including the food processing, cosmetics and pharmaceuticals, oil and gas, and paints, lacquers and varnishes sectors. 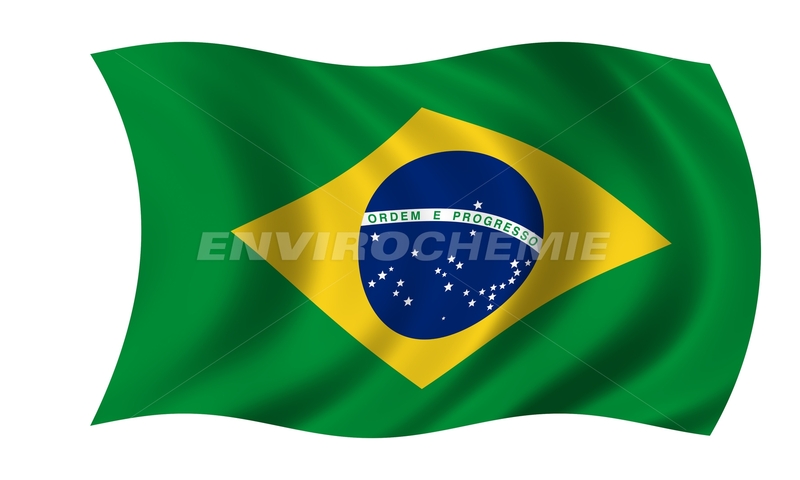 Envirochemie GmbH sees excellent opportunity for growth in Brazil, particularly as the outlook for the economy is now generally positive again after several poor years.